What do you get when you cross two perpetual so-called “mom” territories: juice boxes and snack time? 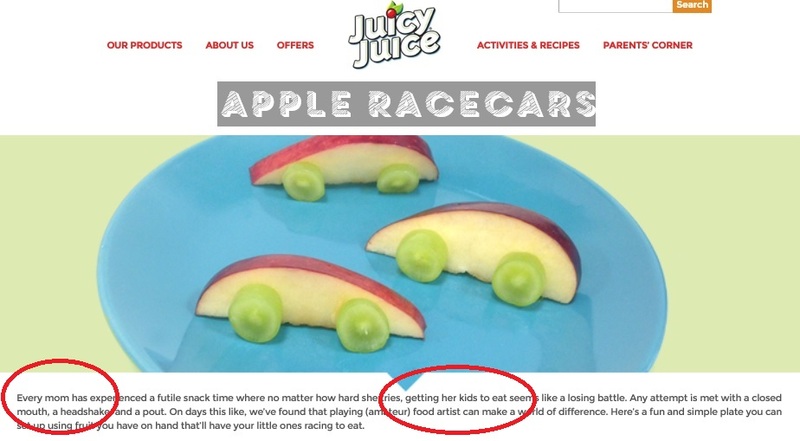 You get yet another dad exclusionary, old school approach to marketing from none other than Juicy Juice. We’ve seen this juice box predicament before. But this time it seems to hurt a bit more, as Juicy Juice is a relatively newer product (when compared to, say, other stodgy brands), and Juicy Juice even professes to have ads that have “changed over the years.” Note that it didn’t say changed for the better. Another sad aspect is that this is another company who apparently likes to negate dads and all the fun they provide at snack time. We personally know many dads who love snack time, and have even given names to the creations they make for their kids: Quesa-daddies, Daddy Cheesy Melters, Sugar Daddies, Father Son Buns. Those sound like some fun creations! Who knows how many untold, unrecognized culinary dads out there are shaping their kids into fantastic human beings one snack at a time? Apparently, that spirit is only being doled out only to mothers and turning its back on dads. Give it another try, Juicy Juice – dads are listening. 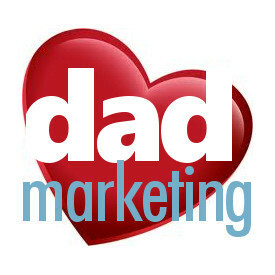 ← Are dads on the go?